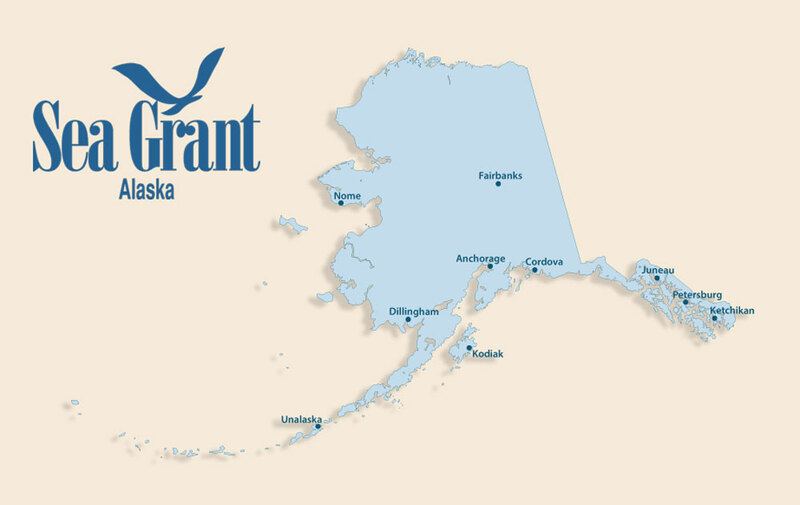 Cordova’s mayor is expressing strong support for the continued presence of an Alaska Sea Grant Marine Advisory agent in the Prince William Sound fishing community. Mayor Clay Koplin, in a column published this week in The Cordova Times, said the Alaska Sea Grant Marine Advisory Program has had a presence in Cordova and the greater PWS region since 1973 and has played a critical role in the overall success of the area’s fishing industry. As we have mentioned previously, our longtime Cordova-based Marine Advisory agent Torie Baker retired in December. Whether the position will be refilled is undecided. Thanks, Mayor Koplin, for sharing your thoughts. This article by Cordova Mayor Clay Koplin originally appeared in the Cordova Times Jan. 22, 2019 and is reprinted with permission. The Cordova City Council recently voted unanimously to pass a resolution in support of continued funding of the UAF College of Fisheries and Ocean Sciences (CFOS) Marine Advisory Program’s Cordova faculty position in FY20. The MAP position has served this community and region since 1973. Cordova has arguably been the most innovative, market building, and value building fishing community in the state over the past 30 years, and the Marine Advisory Program has been and continues to be a critical element of that success. On the one hand, rapidly growing global demand for seafood is spurring industrial scale seafood farming of biologically and genetically engineered products and other ecologically risky practices. The United States, as the second largest global consumer of seafood with over 90 percent of that seafood being imported, is applying much of that pressure. Alaska is in a key position to deliver more wholesome options, and a better balance-of-trade proposition for our state and country, but it going to take some hard work and strategic positioning. Investing in positions like the MAP advisor in Cordova is just such a strategy. Never has business growth, investment in Alaska, and innovation resulting in competitive advantage been more important. It is encouraging to hear the new State administration touting 2019 as the year of innovation. By connecting innovative fishers and processors with key educational, operational, and investment strategies and support, the MAP program is the essential bridge over these productive waters. Cordova had risen to the 26th largest seafood delivery port in the US between 1997 and 2007. State and local renewable energy infrastructure investments in Cordova have propelled her to the 13thlargest seafood port in the US from 2008–2017. Recent developments in Cordova underscore new opportunities and an even brighter future ahead if developed strategically. Two new locally-owned custom processors have directly utilized the MAP program for food handling, business modelling, custom processing, and marketing education and support. The results have been astounding. In less than five years, one processor has increased the ex-vessel value of an essentially overlooked, commodity product by over 300 percent to the fishing fleet. The other processor, in their first year of business in 2018, launched a new, innovative test product that sold out within five minutes. These are the success stories that follow an innovative ecosystem. The MAP position in Cordova may very well be the key link in this chain of success. The return on the Cordova MAP advisor position has been far, far greater than the investment. That is why it is so important to continue funding this position, because it builds a greater future for Cordova, for Alaska, and for our country. Clay Koplin is Mayor of Cordova, Alaska, and a life-long advocate for sustainable fisheries and economic/subsistence opportunities for all Alaskan user groups; subsistence, commercial, sports, and personal use fisheries, all of which he has participated in for over 45 years in Alaskan waters.